The role of the Governors is to oversee the management of the school. The members of the Governing Body are drawn from parents, staff and the wider community. 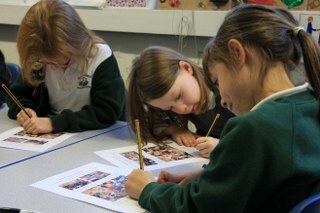 Governors work with Senior Leaders in the strategic development of the school and in raising standards of achievement. Duties include setting the school’s vision, aims & objectives, approving the school budget and appointing the Head Teacher. The functions of a Governing Body are described in detail in the DfE’s Governance Handbook. The Full Governing Body meets at least twice a term to discuss the performance and management of the school and agree policy decisions. Working Groups meet as required. If you are unable to find the information you’re looking for, please contact the School Office or email the Clerk. The Governing Body currently does not have any vacancies. The Governing Body consists of the following members. If you would like to know more information on each of the Governors, including the date of their appointment, any register of interests and Governor Committees, you can find it on the Governing Body Members Page. Minutes of the Full Governors’ and Finance & Staffing Meetings will be posted here once they have been approved and signed by the Governing Body at the next meeting. The Constitution of Governing Bodies in Maintained Schools (August 2015) requires Governing Bodies to publish individual Governors’ attendance at meetings in the last year. Please click here to find Governor Record of Attendance at FGB and Finance Meetings in 2017 – 18.